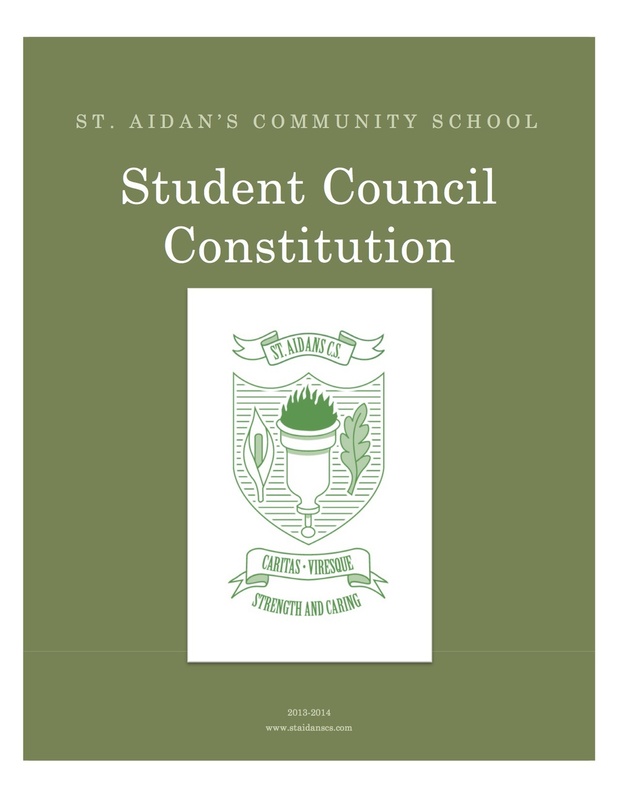 Student's Council — St Aidan's C.S. 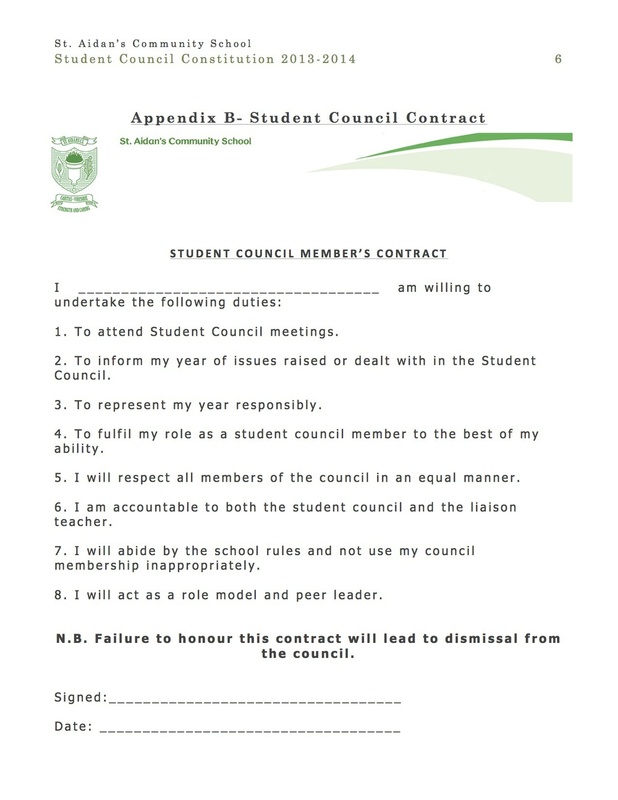 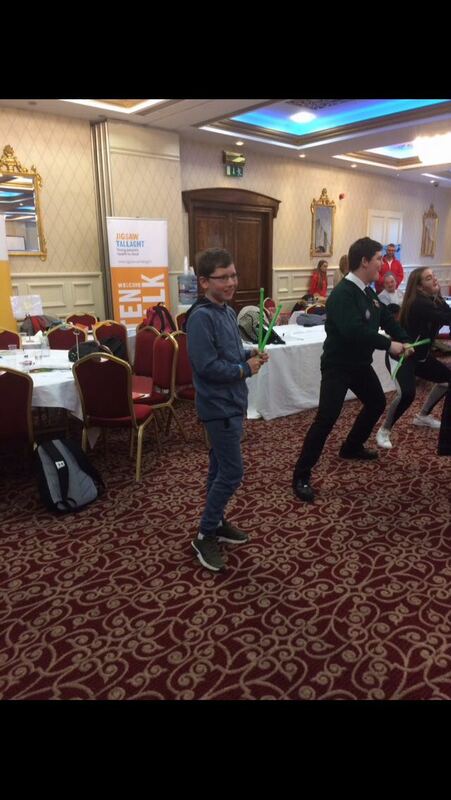 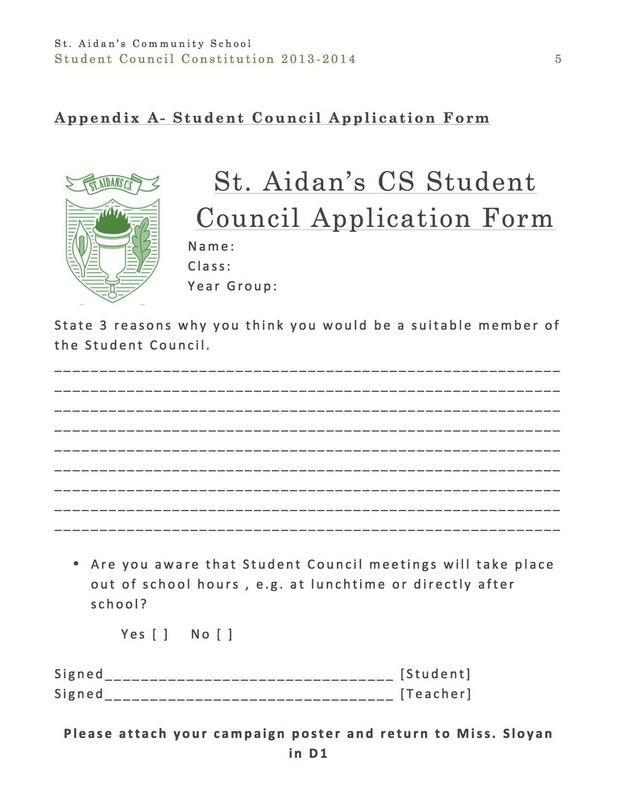 The Student Council is a group of elected student representatives , who become involved in the affairs of the school by working in partnership with the school's management, staff and parents for the benefit of the St. Aidan's and its students. 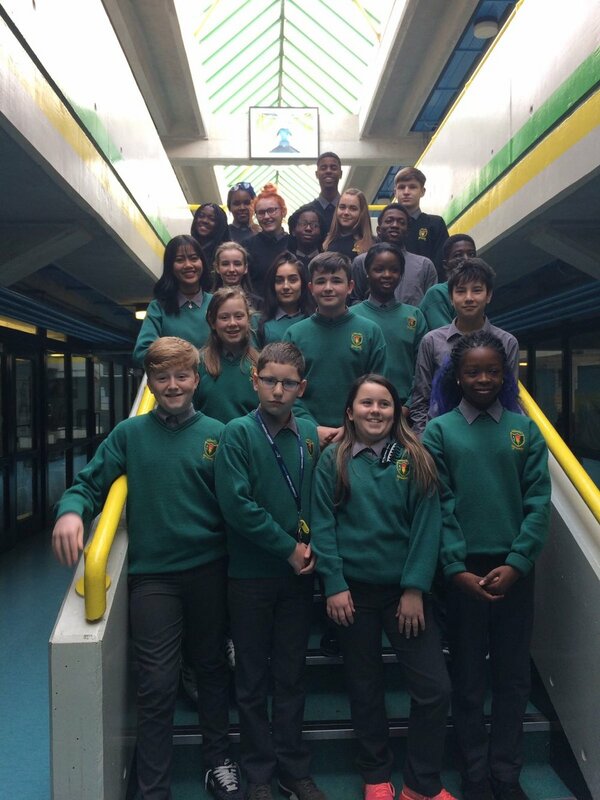 In our school, the Student Council work with Ms Fealy, the Student Council Liaison Teacher, in order to bring about positive change within the school. 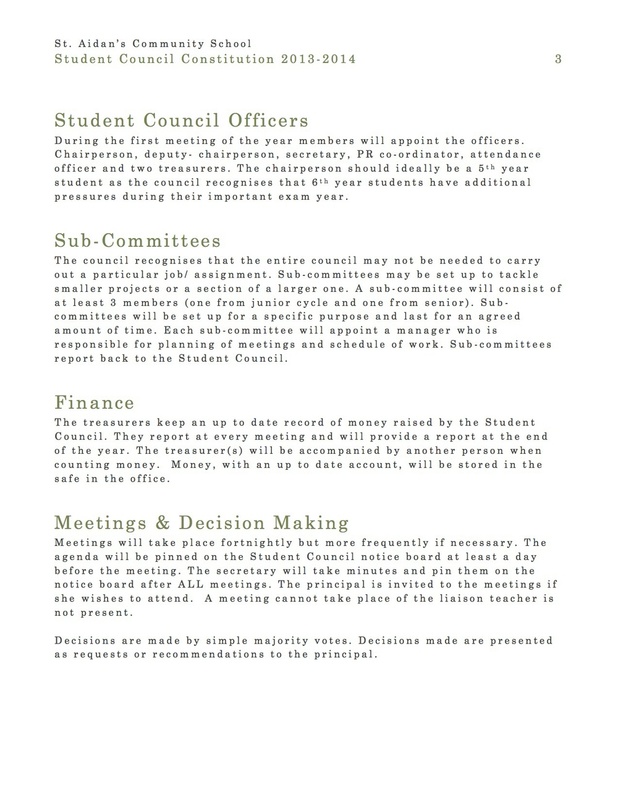 · Managing and accounting to the student council and Board of Management, for any funds raised by the Council. 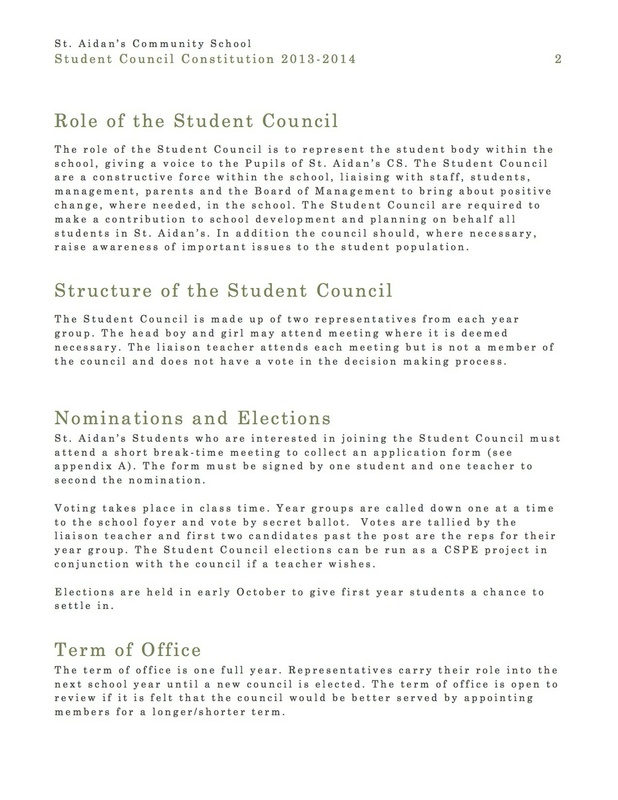 Student Council Elections were held in October this year. 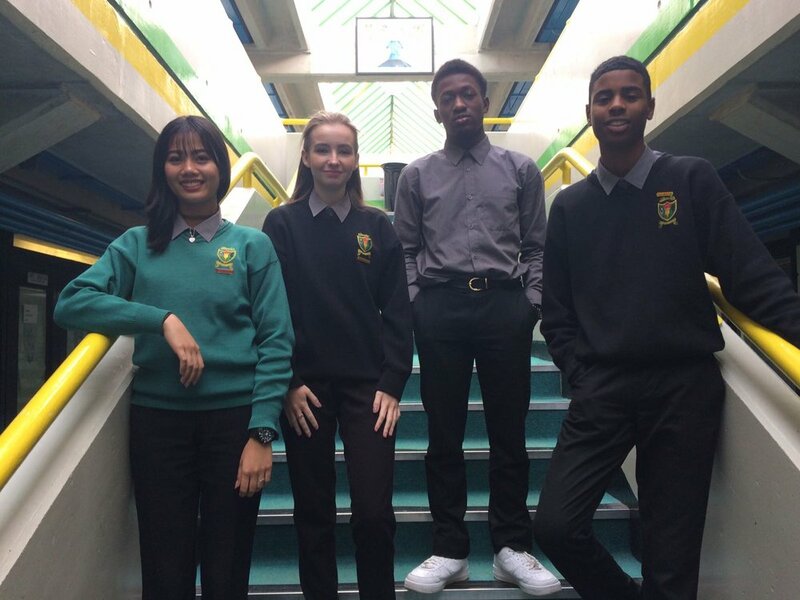 The run up to the elections saw many of the nominees run some great campaigns and n the day itself everything went very smoothly.